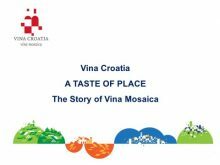 The Wine Association in Croatian Chamber of Economy in 2012 adopted a strategy called “Vina Croatia – vina mosaica”. The beginning of the strategy implementation was during 2013 with a clear goal, strength and brand awareness as well as the desire for a clear positioning of Croatian wines on the world wine map. Vina Croatia will stand out from New World wines on heritage, from Old World on simplicity, from other emergent wine sources on accessibility. Objective – To put Croatia on the map as a reputable source of distinctive, high quality wines. 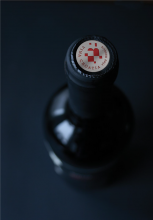 With these values, Vina Croatia evokes a new brand of Croatian enterprise, harnessing indigenous strengths within, to compete on the world stage, and heralding a new identity to unify the Croatian mosaic.